Are you a Minnesota first time home buyer looking for purchase a home or property here in 2012? Perhaps you are simply exploring the possibilities of owning your own home and you are curious on your next steps. 1. How to know what Realtor to choose? 2. What steps are involved in the preapproval process? Are there programs available here in MN for down payment assistance? 4. How should the offer be structured? What are some of the various negotiation tools that you as the buyer have in place and strategies that can help you get your offer accepted? 4. Is there a timeline a buyer should be on when looking to purchase his or her first home? With our team, we take great pride in working with first time home buyers at their own pace. There is never any rush or pressure when working with a top agent and realtor on our team. In addition, we work hard to provide our clients with all of the tools and resources so he or she can make the most informed decision based upon current market conditions. Many first time buyers ask: what is our Minneapolis real estate market like right now? It is definitely a sellers market throughout the entire Twin Cities. The number of homes for sale is down considerably from the mid 2000s when inventory was over 35,000 home for sale. Right now, there are about half of that number of properties for sale. Couple with lower interest rates, buyers are finding more and more competition from other first time home buyers also looking to offer on homes. Don’t lose hope however! With the counsel of a top agent, you most certainly can find an outstanding property. As a great first step, we encouarage all first time home buyers here in MN to attend the monthly first time home buyer class in Bloomington. It is free, fun, and informative. We also have our friends from Waterstone Mortgage present information on all of the various financing options so that as you leave the seminar, you are “armed” with the best information to help you make a great decision on buying your first home. Please call 952-649-1456 or email Ryan@MnRealEstateTeam.com for more information on this outstanding monthly seminar. In today’s real estate update, The Minnesota Real Estate Team of REMAX Advantage Plus wanted to share a market snapshap update for the suburb of Bloomington, Minnesota. First of all, comparing the month of September 2011 to September 2010, there was a 53% increase in the number of closed mls listings mn. Average sales price of these homes for sale was $166,000, down 12% from September of 2010. Days on market increased 23% to 149 days. In September of 2011, there were only 421 properties for sale on the MLS. This is down 26% from September of 2010. No doubt, as you talk to various real estate buyers in our market, there is a shortage of inventory available for sale, especially at selected price points in Bloomington, MN. Year to date date in Bloomington, there have been 636 closed sales, up from 635 sales in 2010. The average sales price of a property for sale in Bloomington is down from $202,000 in 2010 to $178,000 in 2011. This is a 12% year over year drop. The median sales price of a MLS listing in Bloomington dropped from $183,000 to $160,000. Compared to other suburbs here in the Twin Cities, these numbers are showing remarkable similarities. Even though interest rates are presenting home buyers outstanding buying opportunities, there seems to be a shortage of listings for sale. Especially in East Bloomington. Right now, there are 5.5 months worth of supply for sale in East Bloomington, compared to 8.3 months worth for inventory for sale in 2011 September. The Minnesota Real Estate Team with REMAX Advantage Plus has a number of top real estate agents who work and live in the Bloomington, MN area. Perhaps you are a first time home buyer, a real estate investor, a seller who is needing the advice of an expert short sale listing agent? Regardless of your real estate situation here in Minnesota, please know that we are here to help you with all of your real estate needs. 1. Updates on the various Minnesota Real Estate market conditions: how many new mls listings came onto the market, went pending, and how many sold (and comparing year over year numbers as well. 2. Cornerstone Mortgage shares an update on the various mortgage conditions: current rates for a 30 year fixed mortgage, ARM products, etc. 3. Each show we bring on one of our preferred partners to discuss the latest and greatest in their respective field. Greg Nelson with Olsen-Theilen, Matt Engel with The Engel Law Firm , and all of our various live on air partners rotate through to go “live” about once every six weeks. On today’s show, Greg Nelson discussed some of the various tax laws that went into effect here in 2011, and how those tax laws affect real estate investors in particular. 4. Throughout the show, we welcome any and all real estate related phone calls. Some listeners call inquiring on particulars on their real estate transaction, some call regarding buying and selling here in the Minneapolis Twin Cities area. 5. Each show we feature a current topic of interest: The Top Ten Tips on Getting Your Home Sold, Strategies for First Time Home Buyers here in Minnesota, How Does a Short Sale Work and How Will it Affect My Credit, etc. Our show has been live on Twin Cities News Talk, AM 1130 since 2006, and we take great pride in providing any and all real estate related information for clients. If you are looking to move to the Twin Cities, or you simply want a resource to stay in tune with the current real estate market here in Minneapolis and the surrounding suburbs, plug in with The Minnesota Real Estate Show. You can listen online at www.MnRealEstateShow.com throughout the week as well. Feel free to call us at any time at 1-800-396-0406. As the #1 real estate team in Minnesota for any company, we take pride in helping all buyers and sellers in our local real estate market. Here in Minnesota, our team has certainly heard and read all of the reports in regards to banks putting a hold on foreclosures. Currently, we have not noticed the moratorium here in Minnesota affecting existing properties for sale on the MLS that the bank currently owns. However, we have noticed a delay in many evictions post redemption period (Minnesota does allow for a full six month redemption period after the sheriff sale.) Some of these properties of the lenders are not being put onto sale on the MLS during this moratorium. If you are a buyer in this real estate market in MN, be sure to plug in with a top real estate agent. And at closing, be sure you understand the importance of purchasing an owner’s policy at closing. This owner’s policy will give you the ability to insure your interests in a property. We do not believe a buyer needs to be fearful of purchasing a bank owned property. Time will tell how quickly this moratorium is lifted and REOs will begin hitting the market as quickly as before. Recent statistics show the real estate market to be stabilizing during the last twelve months. Everything is pointing that the rock bottom has been hit in many places. This is of extreme importance to many real estate investors, because those who get in at the very low have a potential to reap benefits as the market rebounds. Yet, picking a bottom can often be very difficult and risky endeavor. That’s why it is important to keep a constant eye on monthly real estate movements. Following are such statistics for real estate in Afton, Minnesota that can provide an insight into the current local market conditions. Please note that all following statistics are provided by Minneapolis Area Association of Realtors and seem accurate and reliable. Activity for the January of 2010, being the most recent month, shows ‘New Listings’ jump from 1 to 3 new homes for sale, which represents a 200% increase from the same period in 2009. There were no closed home sales during the first month, which compares less favorably to the year ago when there was one closed sale. Yet, if we dig deeper, we can find that 2009 actually saw a drop in new home MLS listings from 2008 from 58 to 53, while at same time the number of closed sales increased from 19 during 2008 to 26 during 2009. ‘Median Sales Price’ for a property in Afton MN during the January of 2009 was only $76,000. Since there were no real estate sales in January 2010, we have to take a look at the month before, December of 2009, when the Media Sales Price was $315,000. That’s quite a big jump indeed! However, for a year as a whole, 2009 have seen Median Sales Price drop to $307,000 from $404,000 during previous year. ‘Percent of Original List Price Received’ of homes for sale shows a drop from 93.2% (2008) to 85.2% (2009), confirming the price pressure that existed during the past year. ‘Average Days on Market until Sale’ stood at 279 (December 2009), a further deterioration from 2008 which had 212 days. ‘Inventory of Homes for Sale’ at the end of January 2010 was 21 which is surprisingly 31% less than the inventory at the end of January 2009. Please take into consideration that the Afton area is a smaller reporting market place, so even a smaller change in a real estate sales can have a drastic influence on statistics. Thus, whether all of those numbers are pointing to the housing market that has dropped down sufficiently enough in this area and is now ready to rebound, still stands to be seen in the coming month’s numbers. So, stay tuned. The Bloomington, Minnesota real estate market remains a little sluggish as the United States works its way through a financial crisis. However, 2009 figures held close to those of 2008 without significant declines in home sales or home prices. In fact, the average sales price of a home in 2009 was actually up 9.2 percent, $211,295 in 2009 compared to a 2008 average sales price of $195,537. The median or “middle” sales price was down slightly at 5.1 percent through December. An indication of the country’s overall economy, home listings were up 19.7 percent over listings in 2008. According to the Minneapolis Area Association of Realtors, 66 homes were listed in 2008 in Hennepin County while 79 were listed there in 2009. The increased listings alone are not necessarily a negative indicator. But, home sales were down 9.1 percent with 55 homes being sold in 2008 and 50 sold in 2009. What does the combination of those factors mean to home shoppers? Homes in Bloomington, MN are likely to be on sale with reduced prices and motivated sellers. Some homes are selling on the minnesota mls, likely to buyers motivated by an $8,000 tax credit offered by the federal government through the American Reinvestment and Recovery Act. The credit, available to first-time homebuyers as a result of a housing market stimulus package, was due to sunset on Nov. 30, 2009. Before the tax credit expired, Congress raced to extend the credit (with the available amount reduced to $6,500) and expanded its benefits to include repeat buyers too. National Association of Realtors’ Chief Economist Lawrence Yun helped champion the tax credit through Congress and attributes improvements in the real estate market to the plan that motivated buyers to move. Homes appear to have sold faster in 2009 compared to 2008 in Bloomington, MN and Hennepin County. In 2008, homes were remaining on the market an average of 146 days before they sold. In 2009 they are reported to have sold 16.7 percent faster with homes for sale on the market an average of only 122 days. By the end of 2008, there were 321 single-family detached homes on the market for sale. By the end of 2009, there were 265 such homes on the market. That doesn’t necessarily mean these homes were sold, some may have simply fallen into expired listings and others may have been removed from the market for other reasons. The townhouse-condo inventory was down slightly in 2009 as well with 165 inventoried in 2009 and 172 inventoried in 2008. Armed with up-to-date statistics provided courtesy of the Minneapolis Area Association of Realtors, today we’re taking a quick look at short sales in the Twin Cities from December 2009. A special arrangement between the seller of a property and the lender on the mortgage of the property agree for the property to be sold for less than what the seller owes to the lender. Short sales allow borrowers to avoid the adverse consequences of a “foreclosure” on their credit report. Short sales are a better alternative for mortgage lenders because in lieu of foreclosure, there is less of a financial loss to the lending institution. In December 2009, what were the short sale numbers for the Twin Cities? There were 3,934 properties listed as short sales in the Twin Cities in December 2009. The number of short sales was double the amount of foreclosures (1,799) and nearly 30% of all “traditional properties” (i.e., properties not considered a foreclosure or short sale) listed in December. At nearly six months, the average number of days a short sale was listed in December 2009 was 177 days, two more months than it took a foreclosure or “traditional” property to sell. When a short sale did sell, the sellers only received 86.5% of their original list price, in comparison to “traditional” properties receiving 92.8% of the list price and foreclosures receiving 97.6%. 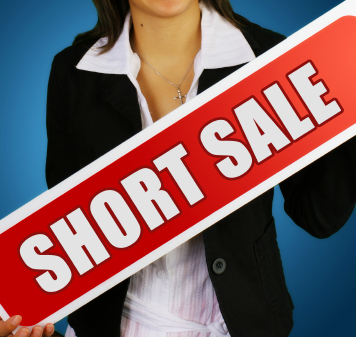 While the concept of a short sale is easy to understand, the process of purchasing a short sale property can be a long process that may become complicated when a seller accepts your offer, but the lender rejects it. Working with a real estate professional is a great idea, however, not all real estate agents are familiar with the intricacies of mn short sales and may even hurt your chances of a successful closing. If you’re a minnesota first time homebuyer and you’re not in a rush to move-in today, a property listed as a short sale may be just the right home for you. With the know-how of one of our many experienced agents, you could find the home of your dreams at a great price and without all the headaches of attempting to purchase a short sale yourself! On The Minnesota Real Estate Team we’ve got agents that have listed and closed short sale properties, helping buyers and sellers alike successfully move to the next adventure in their lives! Minneapolis is the largest city in the state of Minnesota with an estimated population of 390,000. In association with St. Paul, Minneapolis is ranked as the 13th largest urban area in the United States. With a great arts scene featuring music, theater, visual arts, dance and literature, Minneapolis has been lauded as the “most literate city in America.” While many neighborhoods compromise Minneapolis, today we’re examining housing figures from December 2008 to December 2009 and looking at year-to-date information for Minneapolis as a whole. In December 2008 Minneapolis had 1,901 homes on market, 555 were new listings. A year later there were 27.4% fewer homes being listed with only 1,380 properties and 446 were new listings, down 19.6% from the previous year. Townhouse and condo units also saw a 20.8% slip between December 2008’s 1,065 units and December 2009’s 844 units. This change for new market listings follows the year-to-date trend: 11,052 in 2008 down to 9,785 in 2009. Closed sales for properties in December 2009 were also down, but the number of closing for the year-to-date did see an increase. In December ’08 and year-end of 2008, the numbers of closed sales were 398 and 5,293 respectively. Closed sales for December ’09 fell 24.9% to 299 with the year-to-date at 5,886 closings, a positive 11.2% change over the previous year. The average sales price of a home for December 2008 to December 2009 increased from $157,425 in 2008 to $177,515. The average sales price for the year-to-date decreased 12.7% from $209,824 to $183,265 in 2008 and 2009 respectively. While looking at the median sales price for December 2009 ($134,900) and the year-to-date ($150,000), its apparent that homes with a lower sales price are comprising a greater percent of the sales for Minneapolis. The average number of days a home was on the market fell 12.5% from 127 days in December 2008 to 111 days in December 2009, which mimicked the year-to-date change, 12.6% to 112 days in 2009. The percent of sellers receiving the original list price increased 6.6% from December 2008’s 89.8% to 95.6% in 2009. For the year-to-date in 2009, 94.7% percent of sellers in Minneapolis received the original listing price (not accounting for previous listing prices), which rose by nearly four-percent. The city of Minneapolis has a neighborhood for every price range and life you’d like to live. If you’re not sure where to look, let the Minnesota Real Estate Team help guide your journey as a buyer, seller, or both! If you’re looking to purchase a home and don’t know where to start, The Minnesota Real Estate Team can help you with all types of searching from properties, some of which are part of the mls mn. Those only licensed real estate agents have access to the actual MLS, our team is happy to help you with all of your buying and selling needs here in Minneapolis, MN. Are you a MN first time home buyer wishing you took advantage of 2009’s $8,000 First-Time Homebuyer Credit? Don’t feel bad, you’re not alone! The First-Time Homebuyer Credit was extended! The credit remains at $8,000 for a first-time homebuyer. The new law went into effect November 2009 and extends the deadline for qualifying home purchases until April 30, 2010. If a buyer enters into a purchase agreement by April 30, 2010, the buyer has until June 30, 2010, to close on the property. Buyers have the option of claiming the credit on either their 2009 or 2010 tax returns. That’s not the only bit of good news! Income limits have gone up too! The full credit will be available to buyers with adjusted gross incomes up to $125,000 or $225,000 (joint filers). First-time homebuyers with adjusted gross incomes between $125,000 and $145,000, or $225,000 and $245,000 (joint filers) are eligible for a reduced credit. However, buyers with higher incomes do not qualify. First-time homebuyers aren’t the only ones being rewarded in 2010! The new credit also provides a “long-time resident” credit of up to $6,500 to homebuyers who do not qualify as “first-time buyers.” To be eligible, a buyer must have owned and used the same home as a principal / primary residence for at least five consecutive years of the eight-year period ending on the date of purchase of a new home as a primary residence. You should know, however, that with the new tax credit comes three new requirements. First, your dependents are not eligible to claim the credit. Second, no credit is available if the purchase price of a home is more than $800,000. Lastly, a buyer must be at least 18 years of age on the date of purchase. If you’re a first time homebuyer and want to take advantage of the tax credit, you likely have a number of questions. The Minnesota Real Estate Team offers free classes for first time home buyers in Minnesota to prepare you for the next step in your adult life. To answer any of your real estate questions, call The Minnesota Real Estate Team at 952-649-1456. Or if you’re in listening in the Minnesota area, tune into The Minnesota Real Estate Show on Saturday’s from 11AM to NOON on KTLK, 100.3 FM. In today’s real estate market in 2009 in Minnesota, we have seen a number bank owned properties for sale on the MLS. However, in recent months, there have been fewer foreclosed homes for sale. Looking forward, most experts are predicting that there will be in fact another surge of REOs to hit the MLS in 2010. As these foreclosures hit the market in 2010, first time home buyers, investors, and buyers of all price ranges really were in a bit of a “feeding frenzy.” Each month our team has offered and continues to offer a mn first time home buyer class. At these classes here in 2009, we found buyers really eager to take advantage of the tax credit and the amazing prices on these various properties for sale. Though there is a great amount of minnesota investment property that is available to purchase as well, investors too have been scooping up some of the amazing deals. Whether a buyer is looking for a foreclosure in the suburbs of Minneapolis and the Twin Cities as a whole, or whether he or she is looking inner city, there are certainly opportunities. It will be interesting to see here in 2010 how many REOs do in fact hit the Minnesota real estate market. I know in speaking with real estate agents on our team, our market certainly could use some more inventory at various price points. Lastly, as a buyer of bank owned properties, it is crucial to work with a top realtor in the transaction. Buying a bank owned home can and often is in fact a very complicated process. Having a top real estate agent to guide you through the transaction I have found to be crucial. Feel free to use our search for homes function on this website at any time.